3″ diameter sew on patch in Black and White. 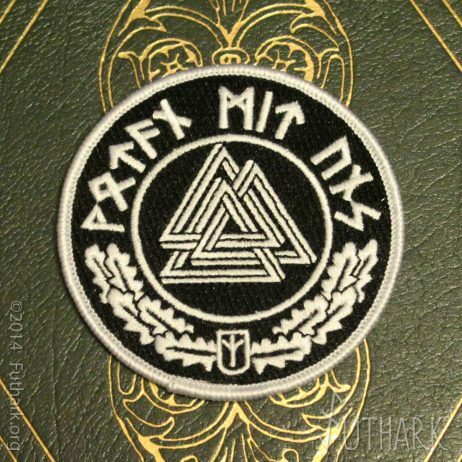 Professionally embroidered in White on Black background. 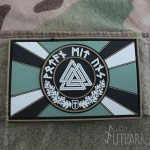 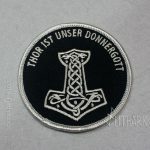 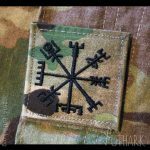 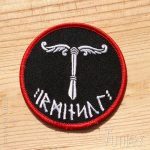 This patch features a 3 dimensional Valknut design and the slogan “Wotan Mit Uns” ( Odin with us ) in Runes with oak leaves and a Life rune shield.